Ben M. was born in Long Island, New York where he began his thirty-year career as a truck driver. Travelling for work brought him to Atlanta, and soon after settling in, he began experiencing complications due to his chronic battle with diabetes. Nerve damage from the illness was taking a toll on his legs and feet, making it difficult for him to drive and he eventually had to quit, and be admitted to Grady Hospital. He was able to receive the medical attention he needed and at that time was introduced to Homes of Light by a case worker from the hospital. After finding housing with the organization, he developed an infection, and after a short stay back at Grady he realized he needed more advanced care. HOL was able to find a facility that suited his needs, and he remained in long-term care for four months. When he was cleared to be released from Crestview, he knew he would have a place at Homes of Light. “They are all good people, and I get along with everyone that works there,” says Ben. He remembered how dependable the staff had been when he first started having his medical issues and felt that the environment would be beneficial to his healing process. Homes of Light was able to connect Ben back to permanent housing. 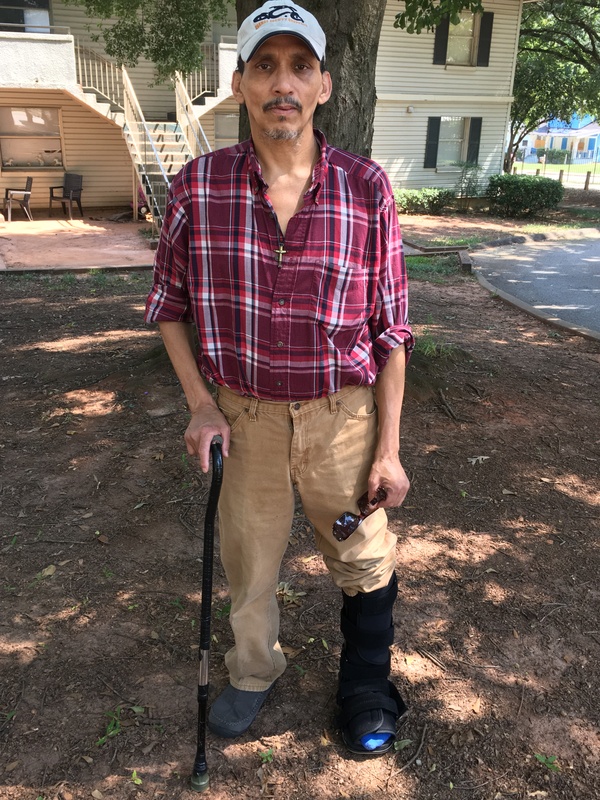 His case worker was able to help him obtain a half-fare MARTA card and show him how to navigate the bus line to get back and forth from his doctor’s appointments. Although the process will take some time, he looks forward to being able to taste the freedom of the open road and start driving trucks again. If his medical restrictions prevent him from travelling, he would like to get a job locally and continue to experience what Atlanta has to offer.